Ricoh India recently participated at Pamex 2015 which was held at Bombay Exhibition Center, Mumbai from 9th – 12th December 2015. The brand Ricoh at the event showcased the entire range of products, especially Pro C 9100 series and their newly launched Ricoh Latex printers. Since, the exhibition is one of the biggest platforms for brands to display their products Ricoh needed an extra support from a partnering agency who could create the perfect set up for the brand to ensure it stood out among other stalls at the exhibition. Vibgyor Brand Services was roped in to set up the stall at Pamex for Ricoh which was for about 234 square meters. The stall was booked keeping in mind high visibility and enough branding could be done. 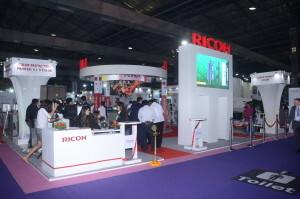 Thanks to creative thinking and smart execution by Vibgyor, Ricoh had achieved total sales of 7.5 crores in 4 days with 27 products sold at the exhibition. 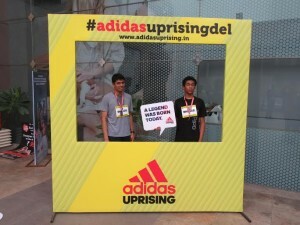 It was one of the biggest milestones they had achieved in a single exhibition.